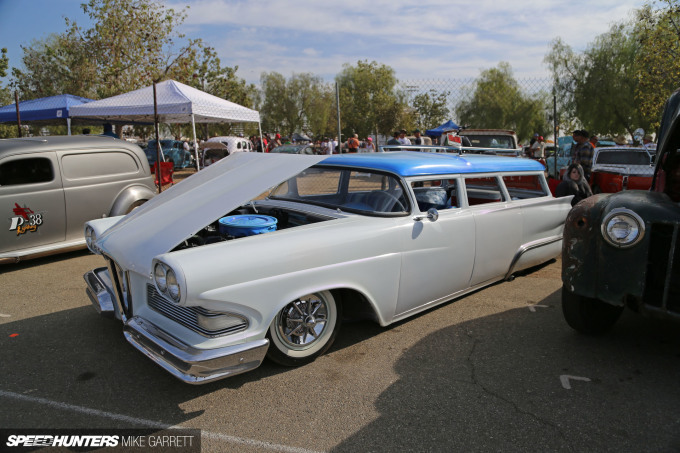 Now that some of the craziness of last week’s SEMA Show has started to subside a little bit, I want to step back a couple of weeks to my time at the 2016 California Hot Rod Reunion at Famoso. 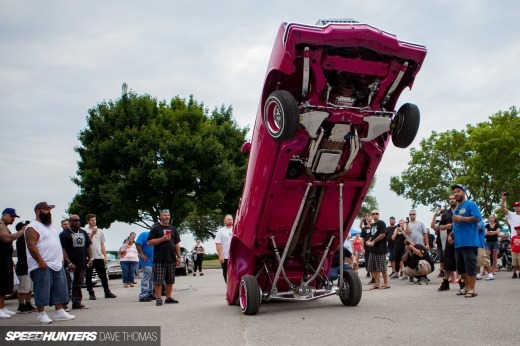 While many travel to the CHRR to get their fix of funny cars, altered dragsters and other legends of the quarter mile, the event actually welcomes all forms of customized American classics. And tucked away in the car show section, I found this 1958 Edsel station wagon, dumped to the ground and looking as cool as can be. 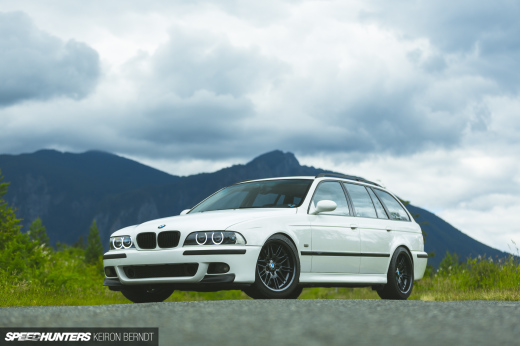 The dropped ride height was just the beginning though. Making the vintage family car appear even lower and sleeker was the heavily chopped roof and shaved door handles and trim. 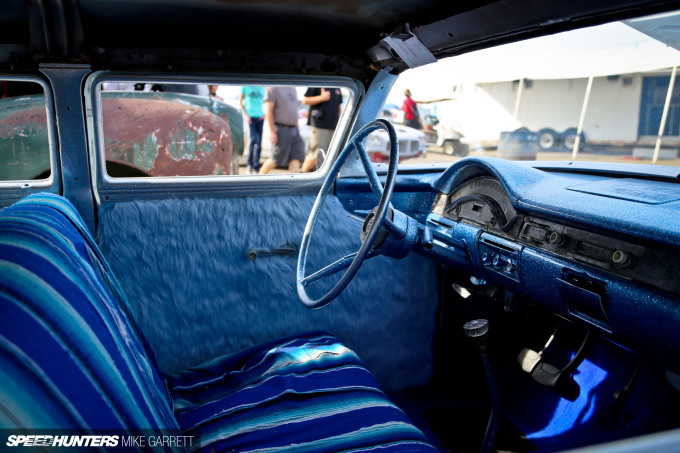 Peeking through the windows, I was greeted by an interior with Mexican blankets over the seats, metal-flake blue dash and steering wheel, and some furry door panels. 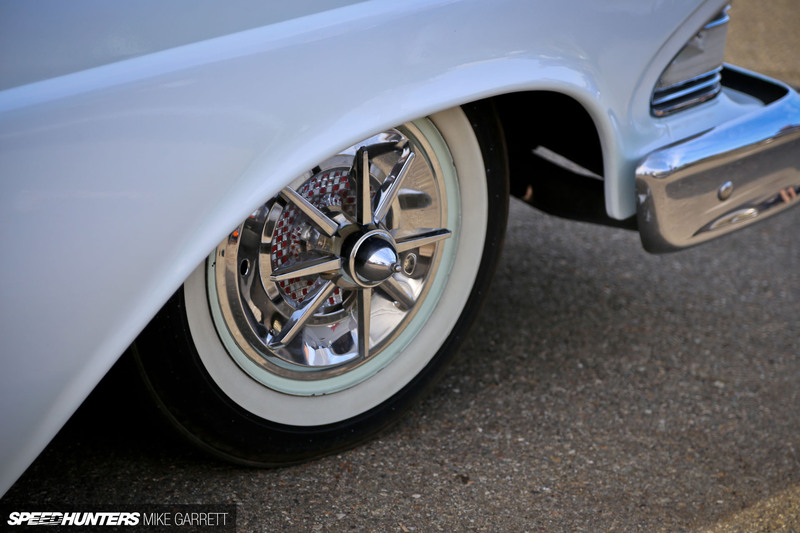 In keeping with the old school custom look, the tires have big white-walls and are mounted on a set of steel wheels with space-age wheel covers. And contrasting against the white paint that covered the most of the body, was a blue roof that featured heavy metal-flake and some cool looking lace patterns. 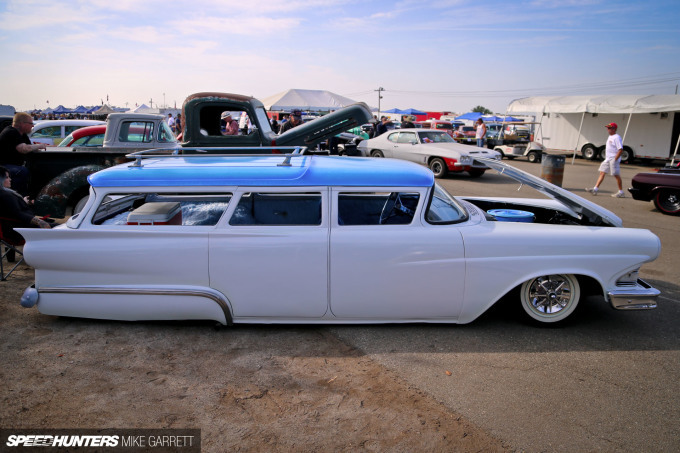 Along with the funky door panels, it’s one of those things that kind of blurs the line between custom and lowrider. 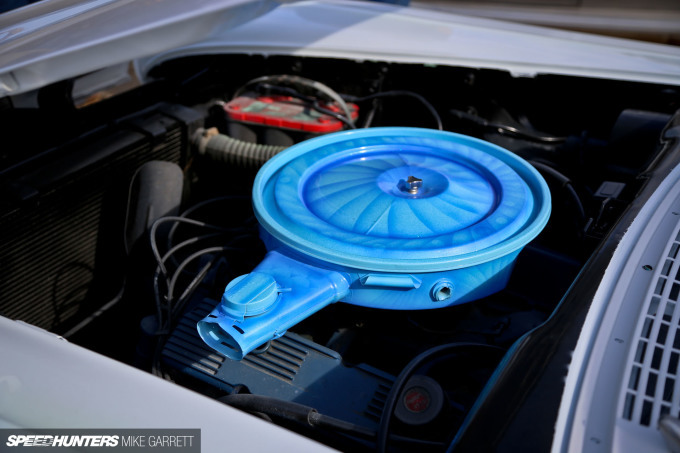 The blue accents even extend to the custom-painted air cleaner assembly that sits atop the Edsel’s V8 engine. 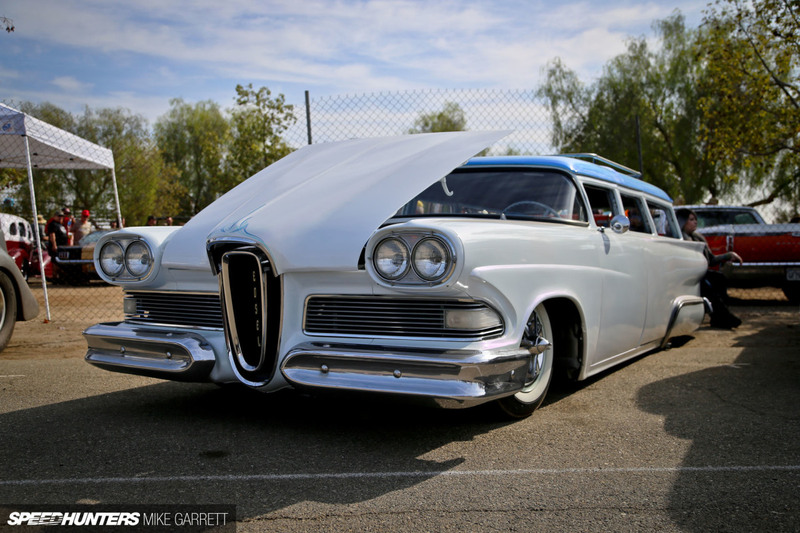 Was this Edsel likely to be one of the slowest cars at the California Hot Rod Reunion? Probably. But who cares? 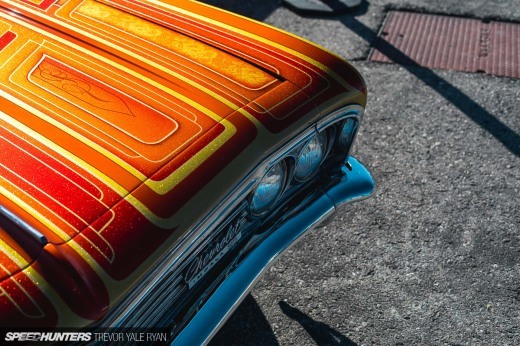 The slammed cruiser turned out to be one of my favorite finds at Famoso this year, and a really cool take on a car from a really unsuccessful American marque. Great find Mike, I've never heard of an Edsel wagon, much less a sweetly customized one! What a nice job. Really like the paint job. 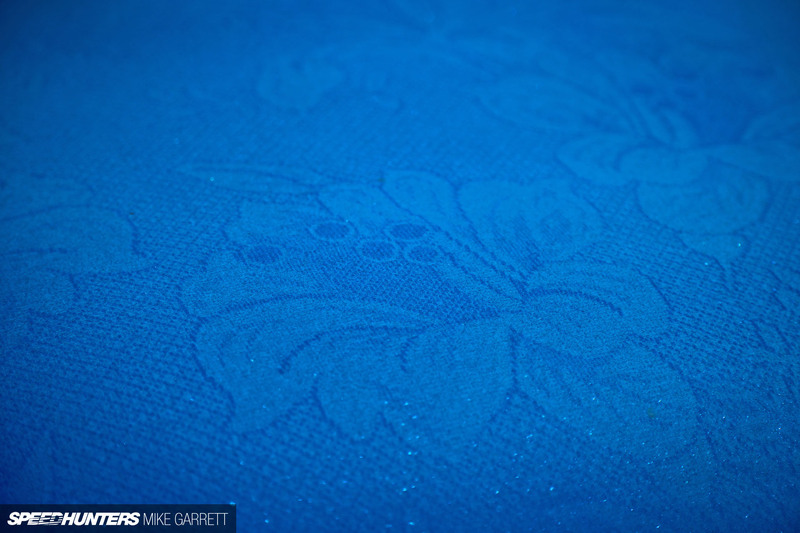 TylerHorne I'm so sure there was one before; not a full feature but perhaps a spotlight. My Uncle Noah recently got an almost new yellow Jaguar X F X F R by working part time online..
in 4 weeks on the computer . My Uncle Hayden got an awesome metallic Volvo S60.. T6 R by working part-time online.